Silk Effect Loose Powder is a loose, semi-transparent, face powder... a make-up product combined with a beauty treatment. This extraordinary loose powder is made with extremely fine ultra-micronised powders enriched with vitamin E, hyaluronic acid and a UV filter, moisturizes the skin and makes it extraordinarily smooth and silky. Comes in a classy opaline box with golden lid and a great quality powder puff. My first Collistar product and I think not the last one. This time the Italians did a great job! I love the box and I also love the powder, it's so soft and so easy to work with it. If you want a natural glow and softness, this product is divine. Perfection. A flawless,softer complexion and every time gorgeous skin in a few simple steps. The price of this product is around 30-34 euro, but is a huge box (35g) and you only need a touch of powder so probably it will take a long time until you finish it. 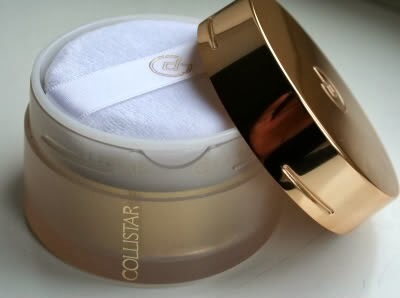 Collistar Silk Effect Loose Powder comes in 4 shades and I have 06 NATURAL, it has a bit of a yellow pigment, almost undetectable but that is a good thing for when you take pictures. 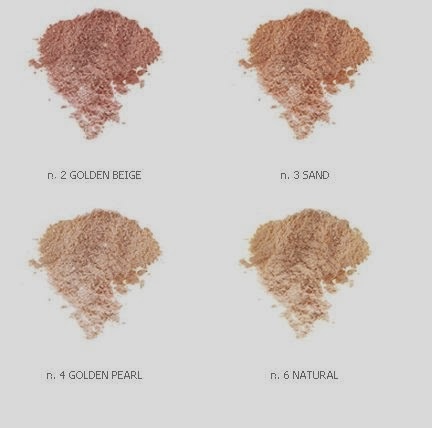 Powders come in all shades, but the most effective are the translucent or colorless, because they can be worn by all skin colors and it will not alter or affect the color of your concealer or foundation.Is always best to keep a neutral color powder, and to find a shade slightly lighter than your foundation. Yellow tones are the best and the most convincing while the pink tones are to be avoided at all costs. Collistar Silk Effect Loose Powder is one of the best loose powders I had so far, super silky, very light and smooth,it does not look or feel chalky or dusty and it does not clog up in the fine lines.It uniforms the texture of my foundation and it absorbs unwanted moisture and oil.I simply love the fact that is feather light and leaves behind a soft, silky natural skin. I use this powder every day to set my make-up, and I can't see myself without it anymore.I rate this product with 5 stars out of 5, and I have nothing negative to say about it....... except the size of the box which is huge,but on the other way this might not be so negative, is just a little bit annoying while traveling as it occupies a lot of space . Do you find powder important in your make-up routine or you think is just something you should only use at occasions and to dab on a shiny nose and forehead ? ***This is not a sponsored post and none of these products were gifted to me. All opinions are my own and I genuinely like and use these products.